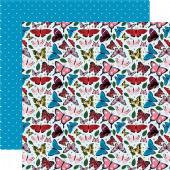 A wide range of individual 12x12 scrapbook papers and 12x12 pads. All acid and lignin free and photo safe. Great for scrapbooking, card making and all of your papercraft projects.